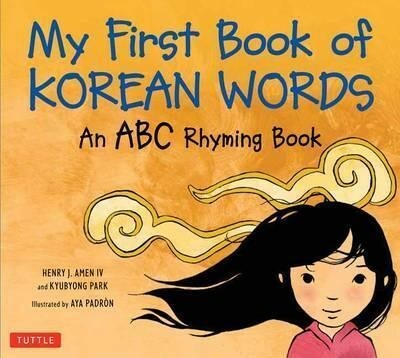 Produktinformationen "My First Book of Korean Words"
The words profiled in this book are all commonly used in the Korean language and are both informative and fun for English-speaking children to learn. The goals of My First Book of Korean Words are multiple: to familiarize children with the sounds and structure of Korean speech; to introduce core elements of Korean culture; to illustrate the ways in which languages differ in their treatment of everyday sounds; and to show how, through cultural importation, a single word can be shared between languages. Weiterführende Links zu "My First Book of Korean Words"
Unser Kommentar zu "My First Book of Korean Words"
Kundenbewertungen für "My First Book of Korean Words"